One way you can surely save on Thanksgiving dinner is asking your friends and family to bring a side dish. 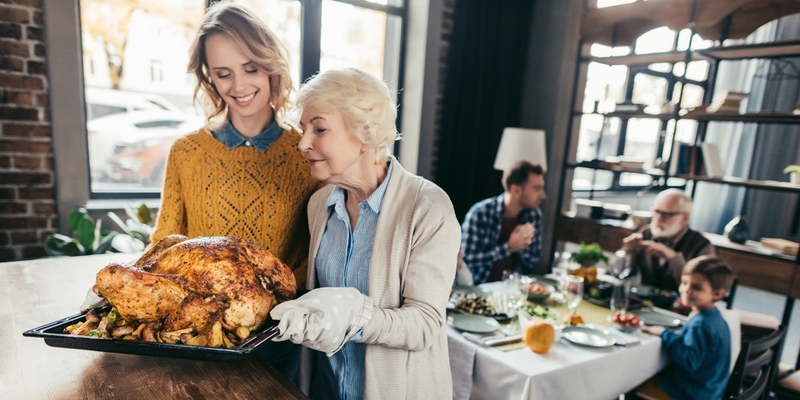 If you take care of the big items such as the turkey, dressing, and drinks, assigning sides for others to prepare and bring will save you time and money. Start your preparations now and you’ll surely save more than if you wait until the last minute. Many stores will feature holiday bargains leading up to the big day, so keep on eye on circulars and coupons.